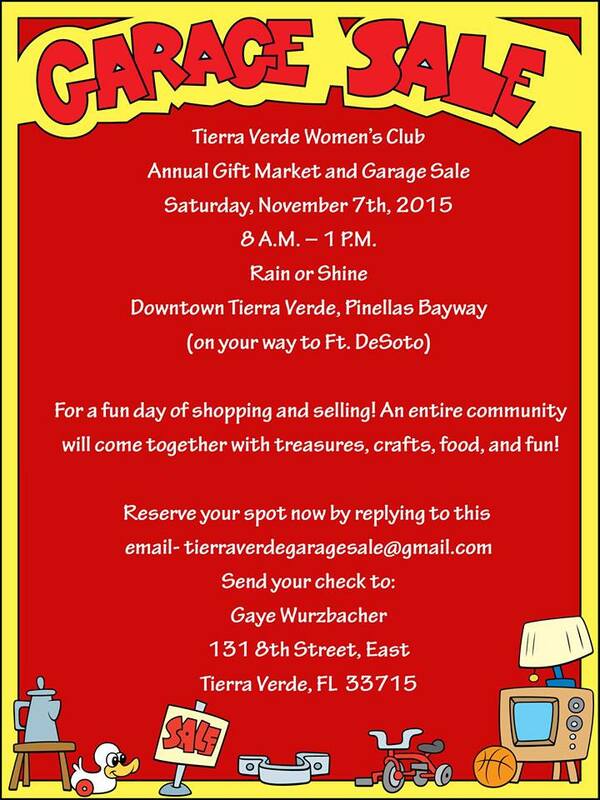 Join Us at the Tierra Verde Garage Sale! Want a booth? …Reserve your spot today! Just email tierraverdegaragesale@gmail.com if interested.